Find out what kind of dentures could help treat your tooth loss and restore your smile. You are dealing with tooth loss and you believe that dentures are the best oral prosthetic to replace those missing teeth. Perhaps you’ve done plenty of online research and you’ve weighed the pros and cons of getting dentures, a dental bridge or dental implants, and decided that dentures may align best with your needs and current health status. Now is the time to turn to our Marietta, GA, cosmetic dentist Dr. James Hutson, for a consultation to find out more about dentures and whether they are right for you. Okay, so we know that most people understand what dentures are. After all, these oral prosthetic devices have been around for centuries. Of course, modern-day dentures offer a better fit and feel than they once did, making them more comfortable and easier to wear than ever before. Dentures consist of a pink plastic base with false teeth. The pink base is created to resemble gum tissue and may either be held in place through suction or with metal clasps. 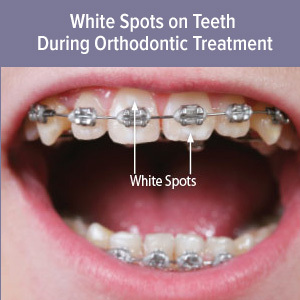 This is your best option if you are missing all of your teeth on the upper or lower jaw or both. Full dentures can last anywhere from five to 10 years with the proper care and maintenance and are the best option for someone dealing with total tooth loss. If you are missing some teeth but still have some healthy natural teeth remaining then getting partial dentures will be the best option. Placing these dentures will help prevent the rest of your teeth from shifting into the open gap. When we think of dentures we often think about having to take them out each and every night. While this is the norm, there are some situations where the dentures will be fixed in place. One example is a fixed dental bridge, in which dental crowns are cemented to natural teeth on either side of the gap to support a false tooth in the middle. Dental implants can also be surgically placed within the jawbone to support and hold dentures in place. Of course, with implant-supported dentures, you will still need to take your dentures out every night before bedtime. 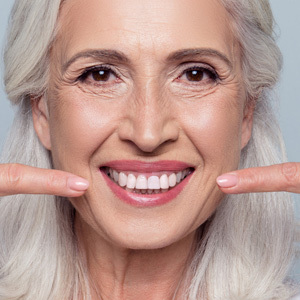 Are you dealing with tooth loss in Marietta, GA, and interested in finding out whether dentures are the best approach for restoring your smile? If so, you’ve come to the right place. Dr. James Hutson and staff pride themselves on providing the very best in cosmetic and restorative dentistry. Schedule a consultation with us today.